Tickets are no longer available in advance and can be purchased at the door the evening of the event. We hope you can join us! 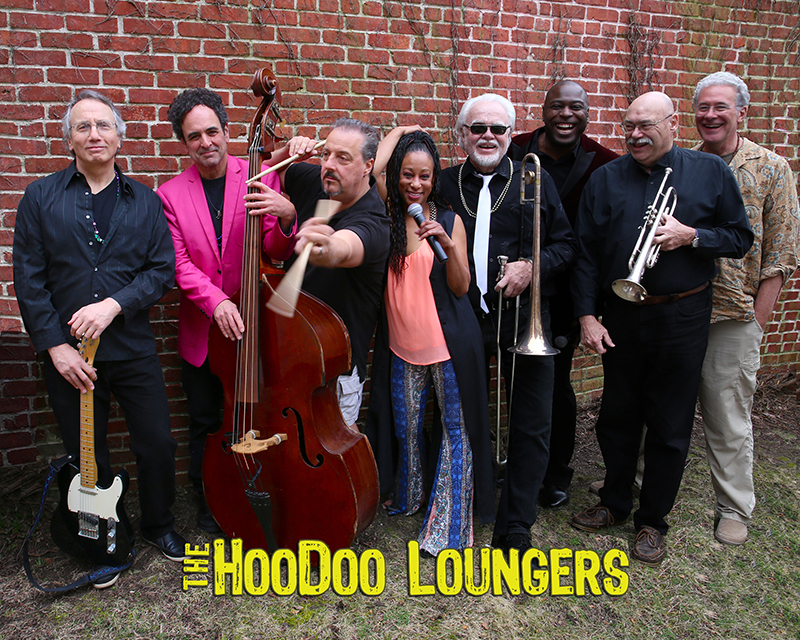 For ten years, the HooDoo Loungers have performed their brand of New Orleans inspired R&B, Soul and Swing to audiences all over the East Coast. Local favorites (band leader Joe Lauro lives in Sag Harbor) the band are regulars at The Stephen Talkhouse and Bay Street Theater. Their latest album ‘HEAD & HEART & HIPS’ was awarded the Best CD of the Year by the L.I. Blues Society. The nine-piece band lets "the good times roll" at each performance so expect to seriously venture out to the dance floor! 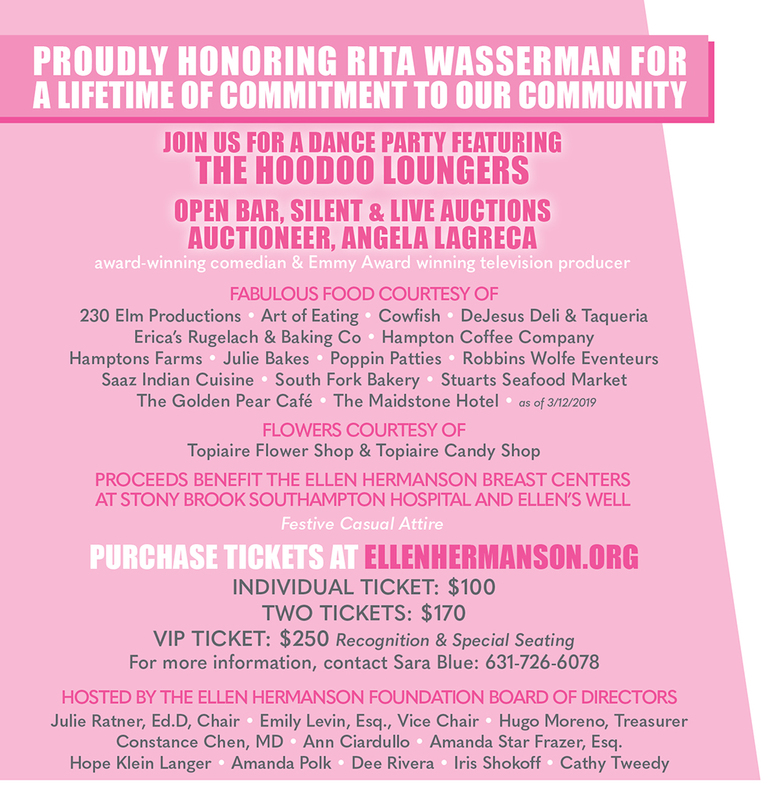 Angela LaGreca is an award-winning comedian and singer, and a four-time Emmy winning television producer, and is thrilled to return as the auctioneer for the Ellen Hermanson Foundation’s ‘In The Pink’ benefit — a cause she cares about deeply. 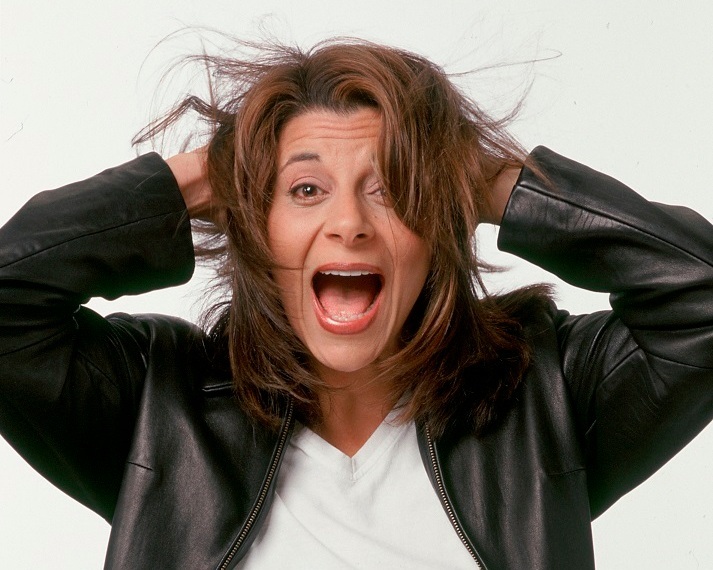 As a performer, Angela has appeared everywhere from Carolines comedy club to Carnegie Hall, and at countless clubs and theatres including Bay Street Theater, Guild Hall, and WHBPAC. As a producer and writer, she has extensive experience in network television, including long runs at ABC and NBC, serving as Meredith Vieira’s longtime producer at the ‘Today’ show, and as the ‘Hot Topics’ Writer and Audience Warmup personality at ‘The View’. Angela has also worked at Sirius XM Radio as a Producer/Writer, and most recently was a Senior Producer at ‘Daily Mail TV’. Angela is currently the new Creative Director at LTV – East Hampton’s public access station, based in Wainscott – where she is working on new programming, outreach/fundraising, and kicking off new shows including the new series ‘Who’s Your Neighbor’. 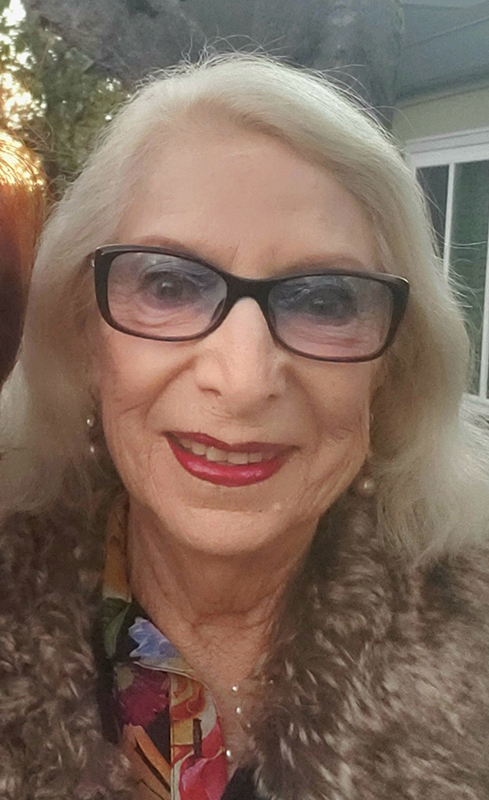 Angela has also initiated Creative Artist Salon Nights at LTV, and is working on LTV’s Summer Gala Fundraiser – so stay tuned!